Breakfast is my favourite meal of the day so its no surprise I am always on the prowl for good coffee and breakfast places. Here are some eateries I highly recommend to satisfy your tastebuds! 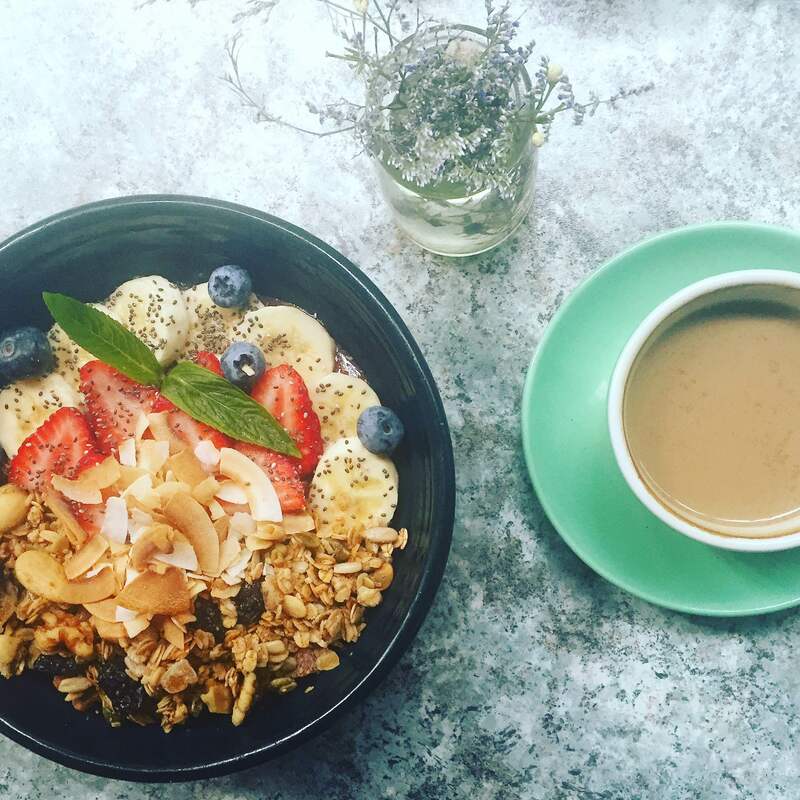 What better way to start the day then with a healthy, tasty and refreshing Acai bowl which has strawberries, blueberries, bananas, chia seeds, almonds and shredded coconut from Flower Child Cafe at Chatswood. Goodness galore! 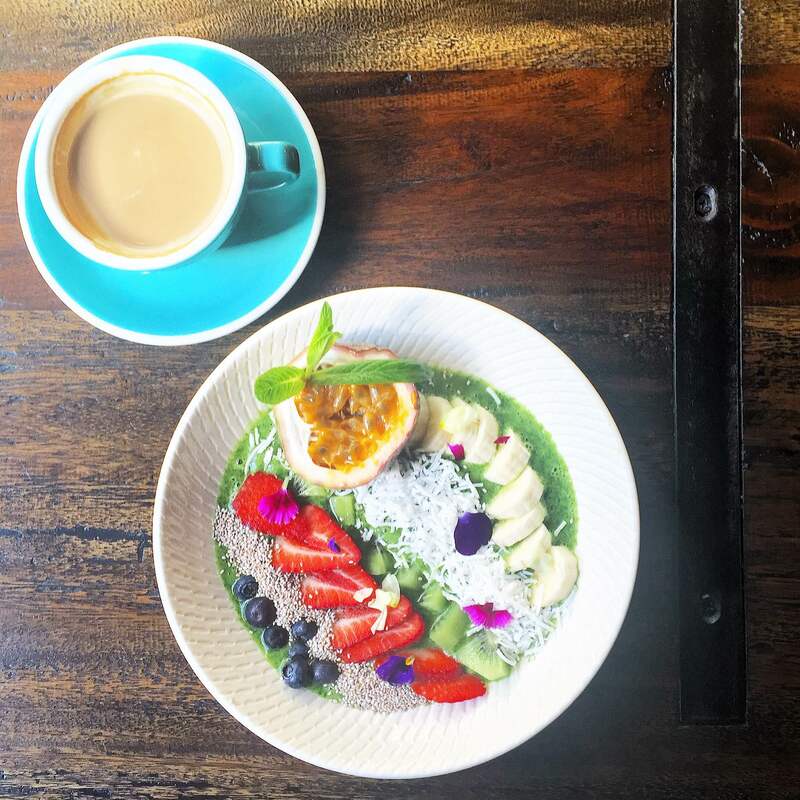 The green bowl is from Calabur Cafe and Diner at Bondi Junction consists of kale and spinach smoothie bowl topped with fresh strawberries, blueberries, dried coconut, passionfruit, banana, chia seeds and mint. Enough said. 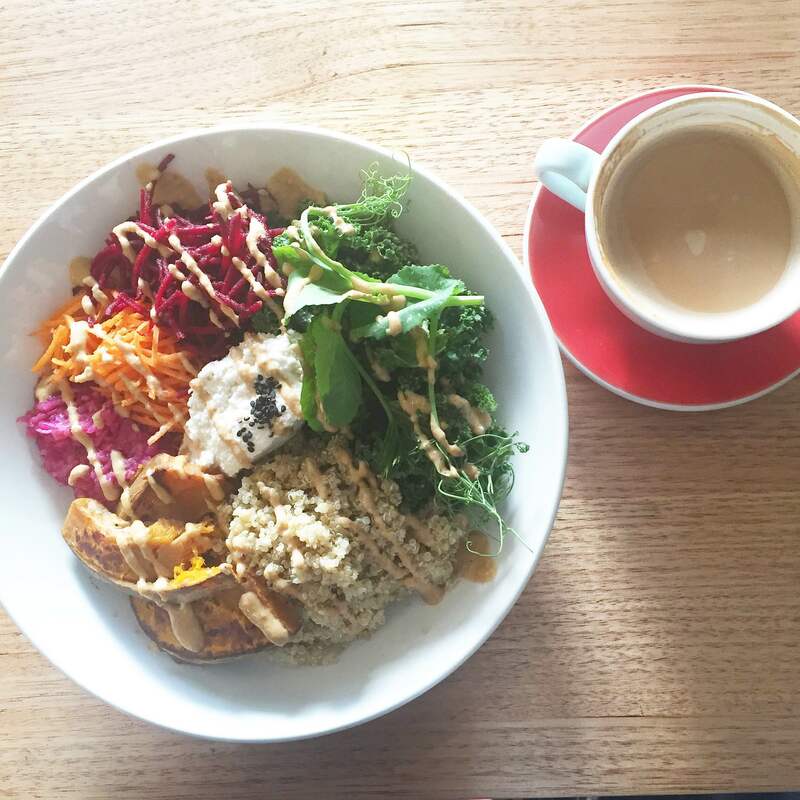 The next place is Sadhana kitchen a vegan place in Enmore and this is the Winter Bondi meal which is filled with miso-roasted pumpkin, quinoa, macadamia feta, shaved carrot and beetroots mixed with greens, oh, and that finger lickin spicy sesame dressing. You can never go wrong at Bread and Circus in Alexandria. 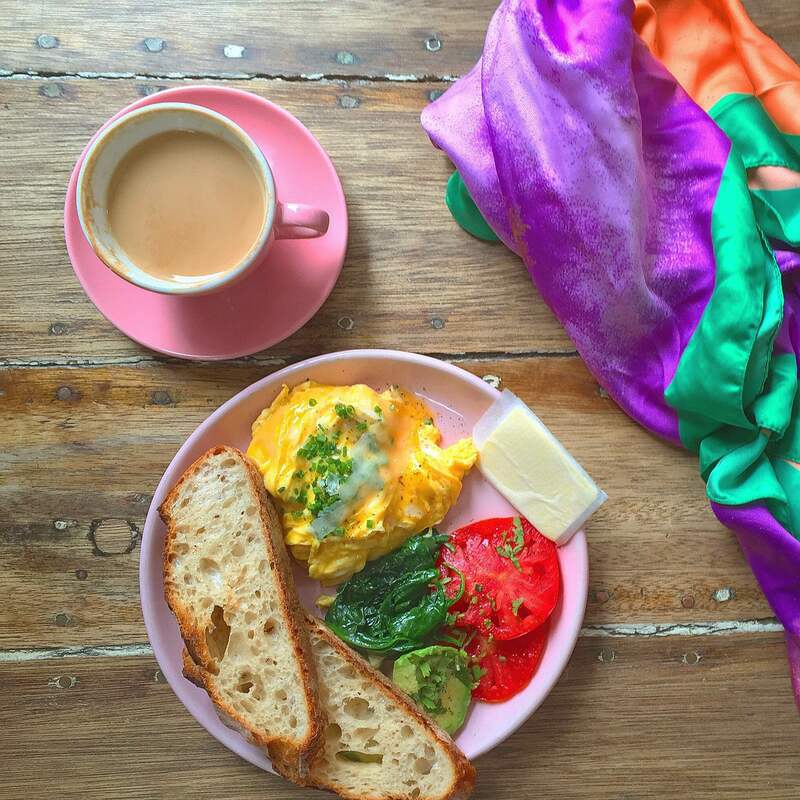 It is one of my favourite places anywhere in the world for breakfast and coffee served on pretty pink platters has eggs and you have the option of either fresh chilli or real truffle oil. I opted for the truffle oil 😉 under shaved parmesan with avocado, tomato, baby spinach, fresh herbs and sourdough. You are welcome. 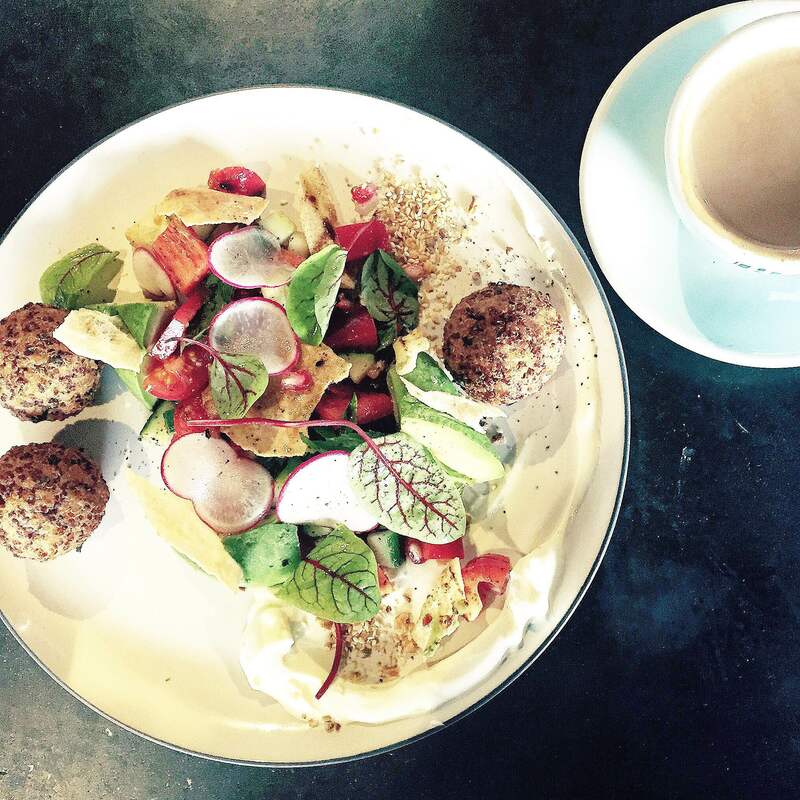 Harry’s Bondi serve their breakfast like a work of art as seen with this unforgettable quinoa and feta fritters, fattoush, avocado, labna and hazelnut dukka. And two thumbs up for the coffee.